What Is a Labor Walk? 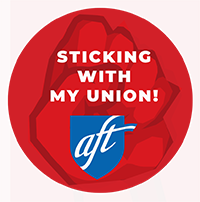 Important New Jersey Elections are quickly approaching and AFTNJ is working with other unions in key districts. If you’ve never participated in one, Labor Walks are a fun way to get out and spend a Saturday morning. We meet up with AFT members from various locals. After coffee, a bagel and a brief training, we split into teams, get walk packets and head out “on the doors” to talk to union households about what is at stake in these critical elections. We share some information about the candidates and where they stand on the issues that matter most to working families and then we meet back at the union hall. It’s not about supporting Democrats or Republicans. It’s about the issues that affect our ability to earn a living and do our jobs to the best of our abilities. Some candidates make that easier and some make it harder. The overwhelming majority of people that we speak to are friendly and appreciate that we took the time to talk with them. Come at 9:00 a.m, talk to some folks, and by 12:00 noon you’re finished. It is three hours well spent and you still have your Saturday ahead of you. 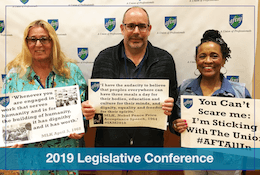 Join AFT New Jersey members and election workers calling union households and working families to talk about the upcoming race an emphasize the importance of getting out the vote for labor-endorsed candidates.